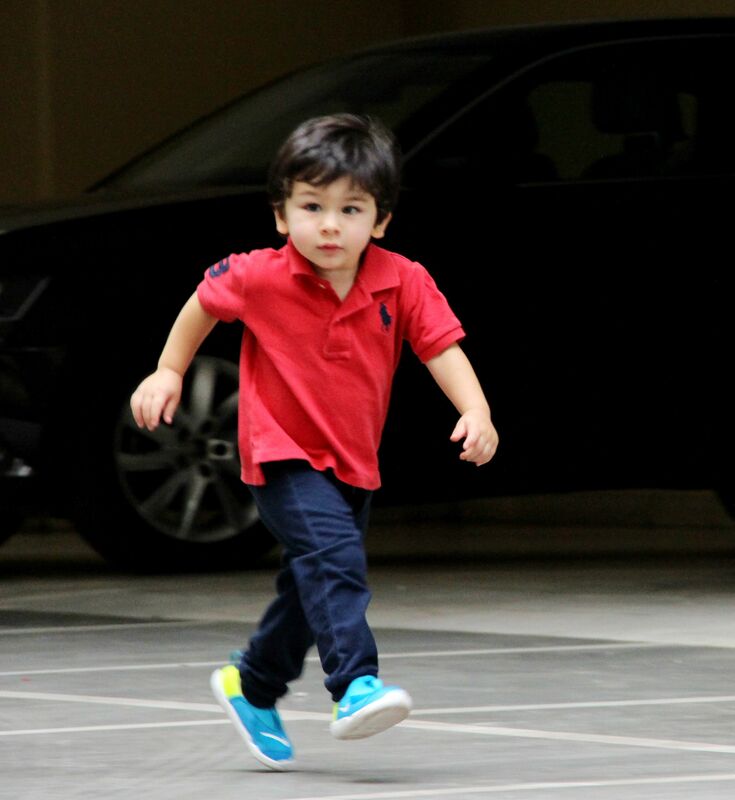 Taimur Ali Khan is back in town after vacationing with mommy Kareena Kapoor Khan and daddy Saif Ali Khan in Europe. 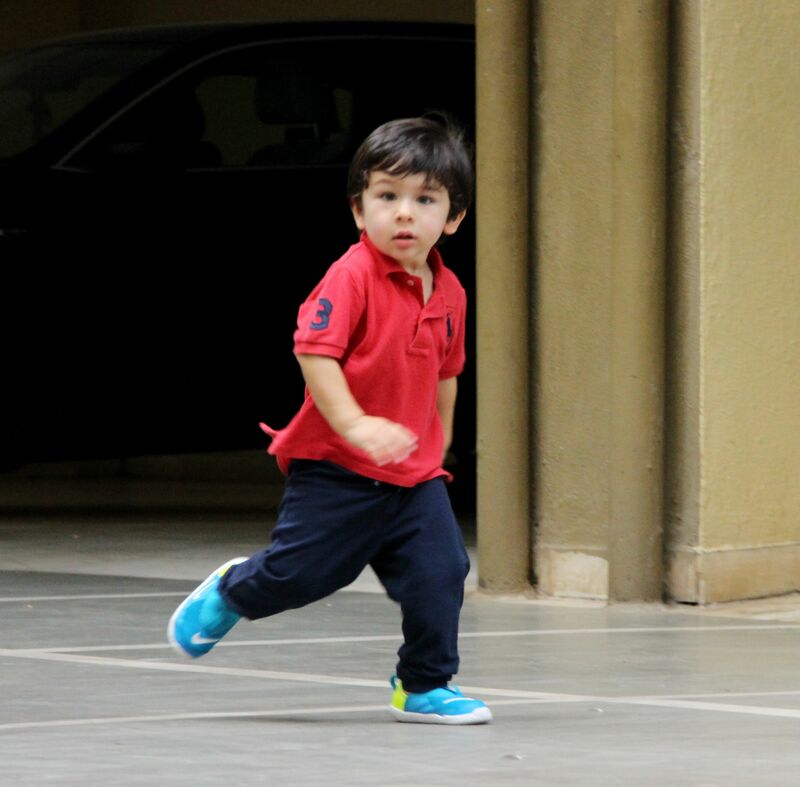 The little Nawab has already created a buzz among the paparazzi and fan following. Lately, the paparazzi spotted him outside his house in Bandra during his playtime. 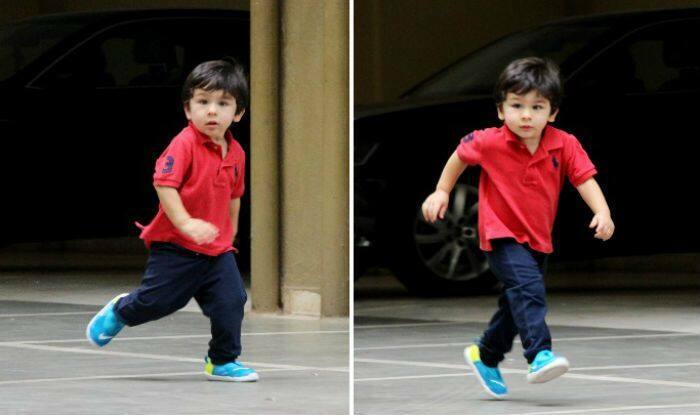 The star-kid was seen running around and posing for the shutterbugs. 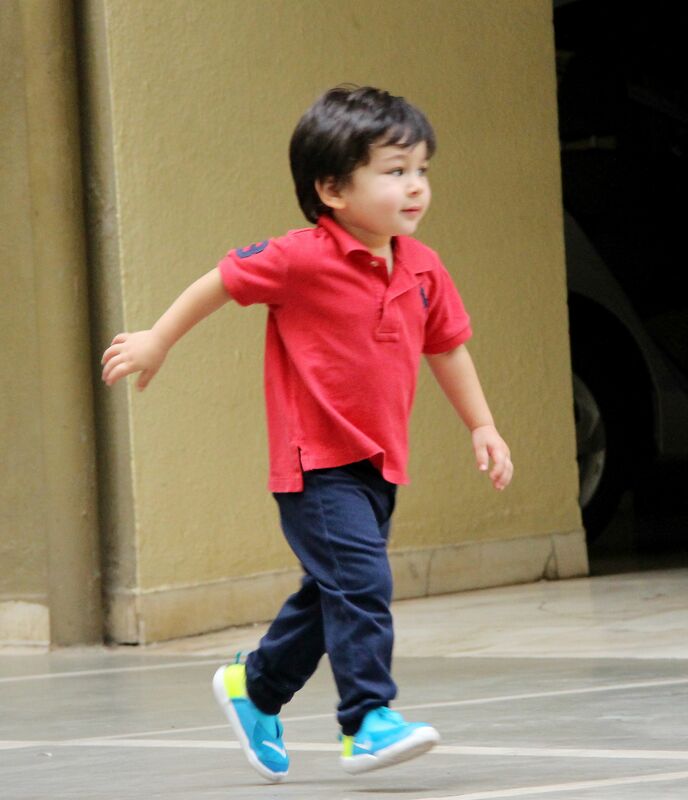 Taimur was seen in red polo shirt teamed up with blue denim jeans and blue shoes. His lips were as red as his t-shirt. Mini Nawab has become a fashion icon lately for every star kid and enjoys a huge fan following. He has fan clubs on social media platform as well. Everyone wants to catch a glimpse of this adorable munchkin. Recently, he went for a birthday bash dressed in an olive green t-shirt and blue denim. He has also become comfortable with photographers. From laughing his heart out to waving at them, he never fails to entertain his paparazzi friends. This is known to all that Taimur has his own fan base. One such example of his fandom was his lookalike doll. 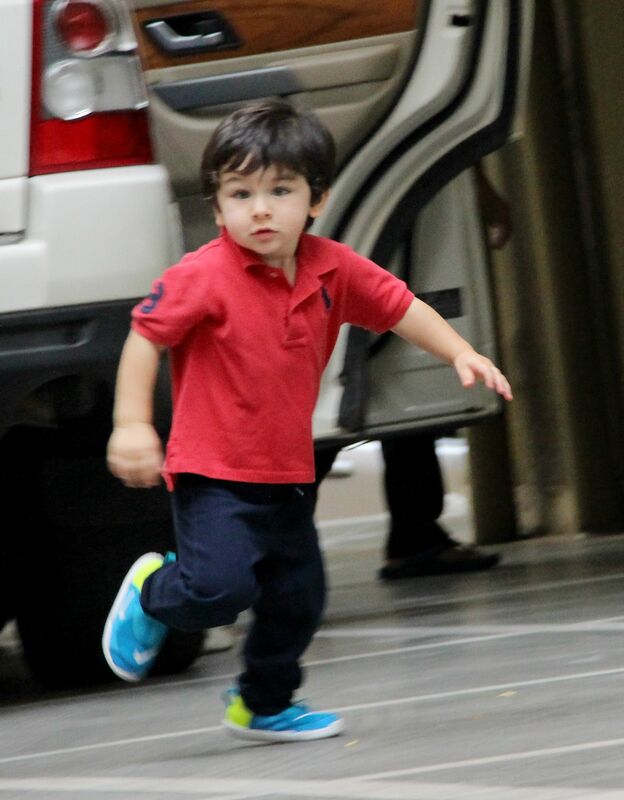 Earlier, Saif Ali Khan said in an interview that the little one is aware of the fact that he is a star. Reacting to it, Kareena stated that he has gone on his mother. On the work front, Kareena will start shooting soon for Good News which also stars Akshay Kumar, Diljit Dosanjh and Kiara Advani. The actress will also be shooting for Takht, a movie by Karan Johar. She will be working with Ranveer Singh, Alia Bhatt, Vicky Kaushal, Bhumi Pednekar, Jahnvi Kapoor and Anil Kapoor among others. Father Saif Ali Khan has started shooting for Sacred Games 2 and will also be seen in Taanaji: The Unsung Warrior directed by Om Raut. It will also be starring Ajay Devgn, Salman Khan, Kajol, Suneil Shetty and Rana Dagubatti among others.